More Ways to Sweeten Iced Tea Than You Can Shake A Candy Swizzle Stick At! Plain tea is pleasing, but sweetened tea is sensational! And with all the sweeteners available (both traditional and newly invented) any sweet tooth can be satisfied when it comes to serving a pitcher or a glass of refreshing iced tea. But which to use, and how much? What goes best with my favorite tea? If those are your questions, we’ve brewed up some answers. 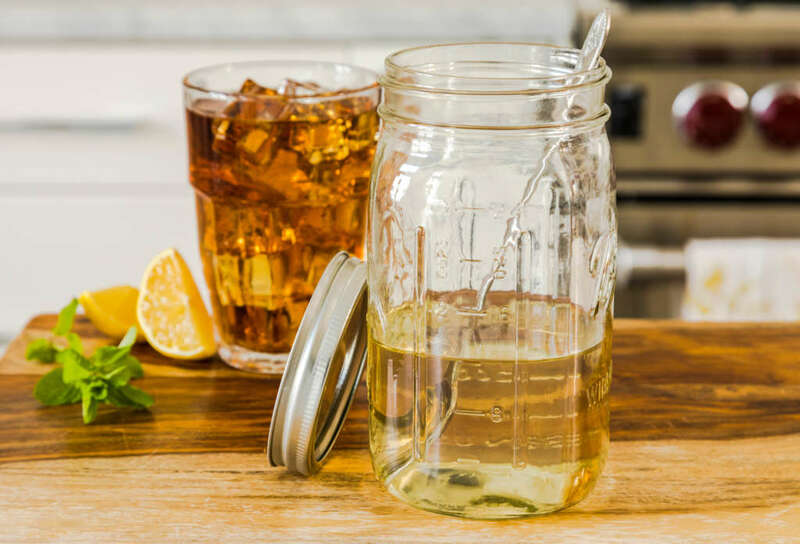 Here’s how to do iced tea right with a favorite new sweetener or a trusted traditional one – because it never hurts to know about the sweet stuff. Sugar: Traditional sweetener for classic Southern iced tea. Good ol’ granulated sugar is the most popular tea sweetener, and we measure the effectiveness and flavor of all the others against it. But did you know sugar has lots of different flavors? There’s the pure, clean flavor of refined white sugar, but there are also brown sugars like Demerara and Turbinado that offer varying degrees of rich molasses flavor. Brown sugars might be too overpowering for delicate green iced tea, but they’re great with strong, spicy black tea recipes. You can also enjoy sugar in fun forms, like cubes, rock crystals and even swizzle sticks coated in crystallized sugar. Honey: Great with fruity and green tea. Honey is the sweetener with benefits! It has a few more calories per teaspoon than sugar, but it’s powerful, so you can use less honey than you would sugar. Honey has been touted as a healthy food for centuries, and besides that, it’s delicious! There are as many flavors of honey as there are flowers. Some of the more well known honeys are wildflower honey, orange blossom honey and clover honey. Syrups: Best way to sweeten cold tea & there’s one in every flavor. Sweeteners like honey and sugar blend more easily in warm tea, so mix them in just after brewing, before you chill it. If you need to sweeten cold tea, use simple syrup. Simple syrup is just sugar that’s been heated and dissolved in water, and it’s the best way to add sweetness to cold tea. Add it to taste as you would granulated sugar. Homemade simple syrup can also be flavored (just add vanilla, lemon and orange zest, chopped fruits, herbs, or spices while cooking it), and commercially made simple syrups are available in just about any flavor imaginable! Combine 1 cup sugar and 1 cup water in a small saucepot over high heat. Stir. Bring mixture to a boil; cook and stir until sugar is dissolved, about 90 seconds. Place in refrigerator to cool. Pour into a squeeze bottle or jar for use. Another sweetener that blends well into cold tea is agave syrup. Agave is available in a dark and light version; light agave syrup is less dominating, and hence better for tea. Agave is very sweet, so try using a half teaspoon to substitute for a teaspoon of sugar. 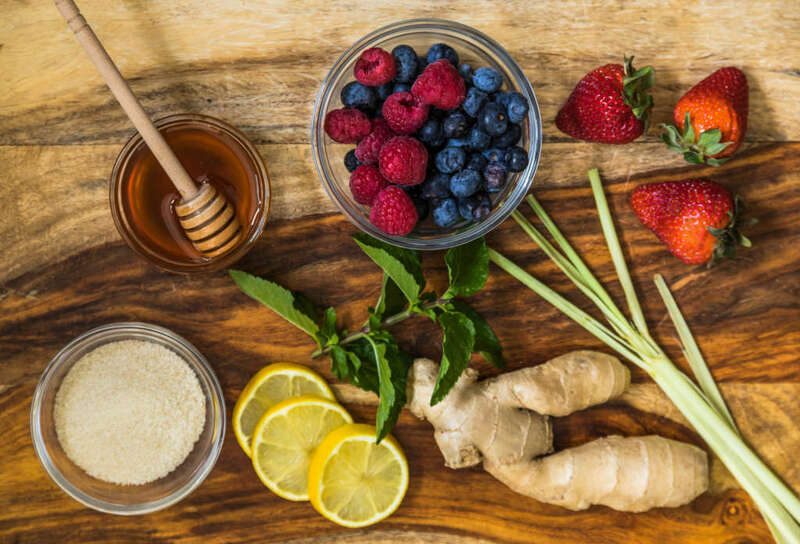 Spices, Herbs & Fruit Juice: The ultimate natural sweeteners. Some herbs and spices (cinnamon, ginger, star anise, cardamom, nutmeg, clove, lemongrass) can add a subtle sweetness to black tea, but they might overpower green tea. Add them while the tea is hot or warm, in order to release the natural oils. Fruit juices, chopped frozen fruit and fruit purees are great natural sweeteners. White grape and pomegranate juices are great with both black and green tea and make a delicious, refreshing iced tea. If you use purees or chopped fruit, strain the tea before serving to remove the solids. You can also sprinkle chopped fruit on the top surface of a prepared glass of iced tea. Monk fruit is, as the name suggests, fruit-derived. It’s relatively low-carbohydrate and works well in any tea. It’s up to 200 times sweeter than sugar, so a little goes a long way. Coconut sugar (a low-glycemic sugar), Xylitol (made from vegetable fibers) and Stevia (from a natural leaf) are all considered to be lower in calories and carbohydrates. Typically they can be used teaspoon for teaspoon with sugar, but their flavors take some getting used to, so before you commit them to a whole pitcher of tea, conduct a taste test! 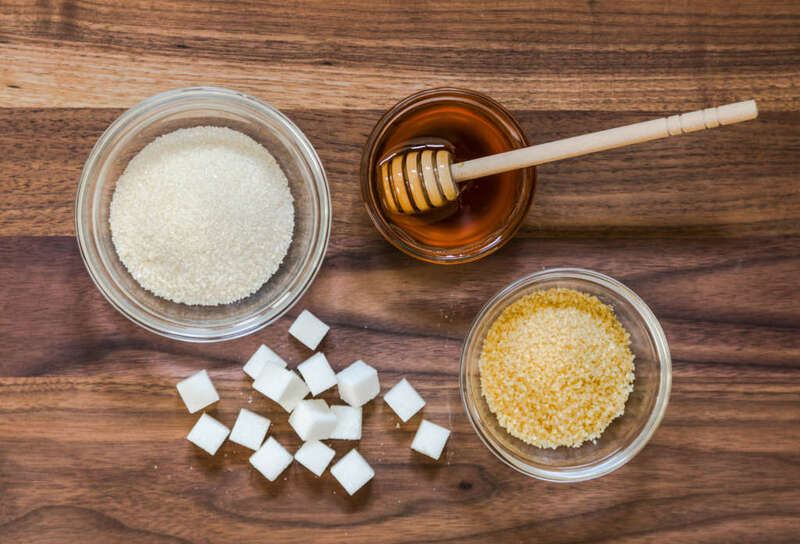 Commercial sweeteners with ingredients like erythritol, aspartame, acesulfame potassium, maltodextrin, sucralose and saccharin contain little or no calories. Each has its own flavor, and each is an adjustment from the taste of sugar, so test them for yourself first.